Hi, Thanks for stopping by and checking out my speaking page! Here’s where you’ll find the information you need to decide if you would like me to speak at your church or event. Thank you for considering me. You can contact me about speaking at your church or event by clicking the button below. 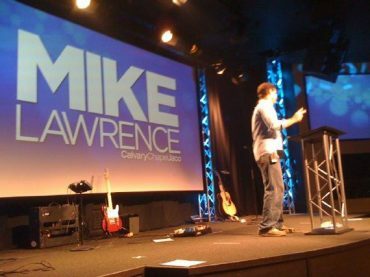 I’ve served in Ministry within the Calvary Chapel Movement since 1998. In 2005, God called my family and I to Costa Rica as missionaries. We spent 12 years there, from 2005 through 2017. During our time in CR, we pioneered church planting in the Central Pacific town of Jaco. We also launched community outreaches and invested in peoples lives through discipleship. Our aim was to teach people to surrender their lives to Jesus and successfully apply God’s Word to their lives. p style=”box-sizing: inherit; caret-color: #666666; color: #666666;”>My Goal is to help those dissatisfied with the status quo discover the “more” they were created for. My wife Revae and I have been married since 2000 and we have 5 awesome children, 4 of whom were born in Costa Rica! Together we are passionate about investing in marriages and equipping them to last a lifetime and leave a legacy! * I am also available to speak on topics outside of the ones listed above. I teach all of God’s Word so feel free to reach out to me if you have a different topic you would like me to teach.